Russia will spend 164 billion rubles ($4.6 billion) to develop and produce its MS-21 medium-range passenger aircraft, a government official said Thursday. 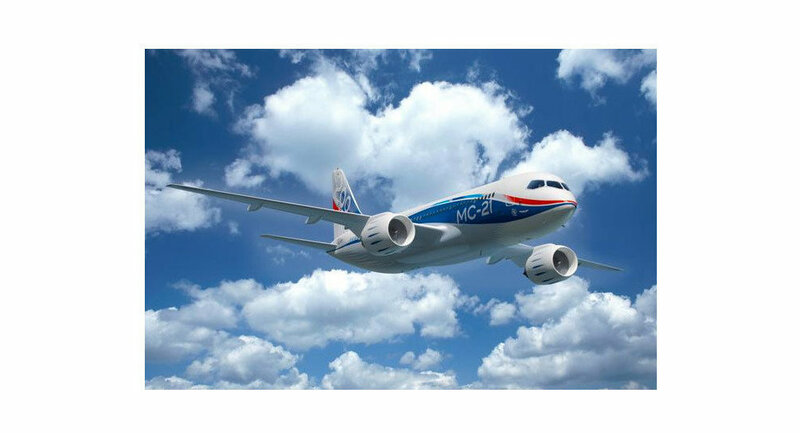 SINGAPORE, February 13 (RIA Novosti) – Russia will spend 164 billion rubles ($4.6 billion) to develop and produce its MS-21 medium-range passenger aircraft, a government official said Thursday. The MS-21, currently in development, is designed to carry between 150 and 212 passengers and is expected to make its maiden flight in 2015 with first deliveries due in 2017. “The cost of the whole project is 164 billion rubles, which comprises an equal share of state funds and private investments,” said Andrei Boginsky, who heads the aviation construction department at the Ministry of Industry and Trade. Boginsky said the budget includes expenditure on R&D work, procurement of components and production of the aircraft. The MS-21 is intended to replace all models of the outdated Tu-154 and Tu-134 aircraft, as well as the Yak-42 in Russia. The plane will be produced in three versions – MS-21-200 (150 passengers), MS-21-300 (180 passengers) and MS-21-400 (212 passengers). It will be Russia's first plane with components made of carbon fiber. The new technology can save 25 percent in fuel and 15 percent in maintenance costs, as well as reduce harm to the environment, according to the designers.